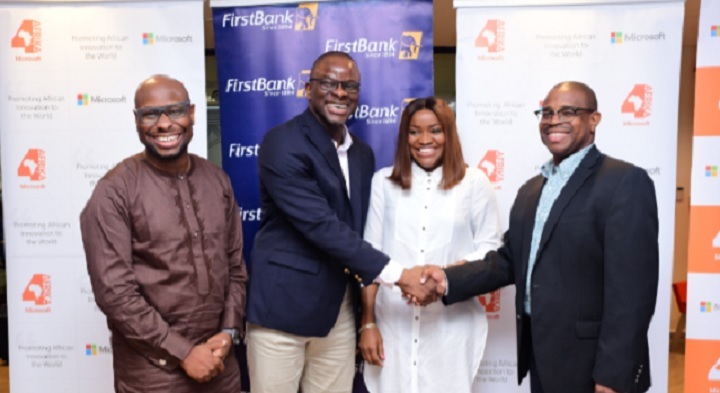 Microsoft has partnered First Bank of Nigeria in a bid to further technology adoption, skills and capacity development amongst small and medium enterprises (SMEs). The two companies have signed a memorandum of understanding (MoU) for the purpose of providing SMEs with value-added products, services and offerings including access to premium content, business networks and capacity building initiatives. “We are committed to the development of SMEs and ensuring their sustained business growth as well as providing the necessary tools to support that growth and Nigeria’s economy at large,” said deputy managing director of First Bank Nigeria Gbenga Shobo. Microsoft Nigeria general manager Akin Banuso said the partnership would help SMEs achieve more. “Our approach at Microsoft has been one of empowerment and collaboration. Initially, our work with SMEs was strongly focused on bringing them online to boost their productivity and competitiveness. Over the years, as we have worked with and learned from SMEs, our focus has evolved to provide them with a more holistic and game-changing offering, which is access to technology, markets, finance, information, skills, and services,” he said.